Cannons U5 Chasers soft stick program is designed for boys and girls - ages 5 and under - who are new to the game of lacrosse. We believe in a fun, age-appropriate and inexpensive program for the youngest players. The Cannons provide the necessary lacrosse equipment and have created a U5 Chasers curriculum that focuses on building excitement and confidence as players learn to cradle, scoop, catch, throw and have FUN! Practices are held on Tuesdays and Thursdays from 545 to 645pm during April and May at Grays Field in Owings. Cost is $50 per player and includes a soft stick beginner's lacrosse stick, a ball, and a t-shirt - all for players to keep. Q. Does my child need any special equipment to participate in the Chasers program? No. All your child needs is sports-appropriate clothing and a water bottle. Sports-appropriate clothing consists of sneakers and shorts or pants suitable for running. Let’s be honest, no parent wants to spend several hundred dollars on equipment for a child just starting a new sport. This is why we provide the sticks, balls, and all necessary equipment for players to have a positive experience. If your child already has a lacrosse stick, please feel free to bring it, but it is not required. Q. 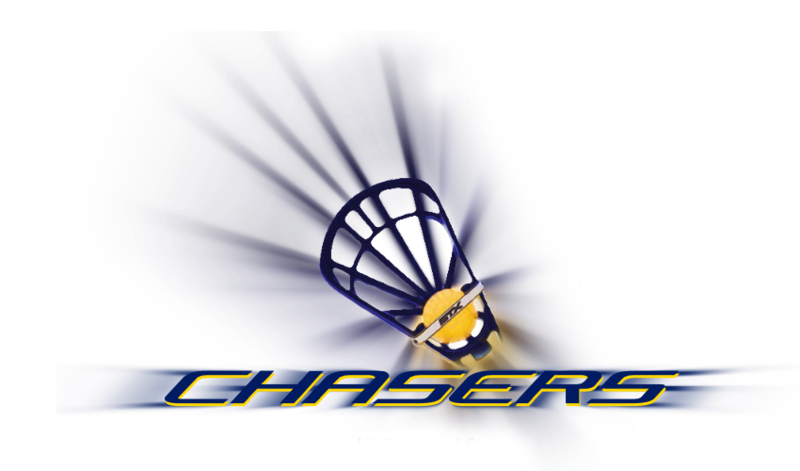 Does the Chasers program use real lacrosse balls? No, we use soft, squishy balls or tennis balls during our Chaser sessions, never actual lacrosse balls. First, a child hit accidentally by a lacrosse ball at a young age can be injured. With soft, squishy balls the fear of being hit by the ball is minimized which allows players to focus on the task at hand. Additionally, using soft, squishy balls helps develop "soft hands" which are essential to lacrosse play at higher levels. Q. How is the Cannons Chasers program different from other youth sports programs? 1. Your child will be having fun. 2. The level of organization and thought that goes into each practice and lesson plan will exceed other youth sports programs your child may have participated in.